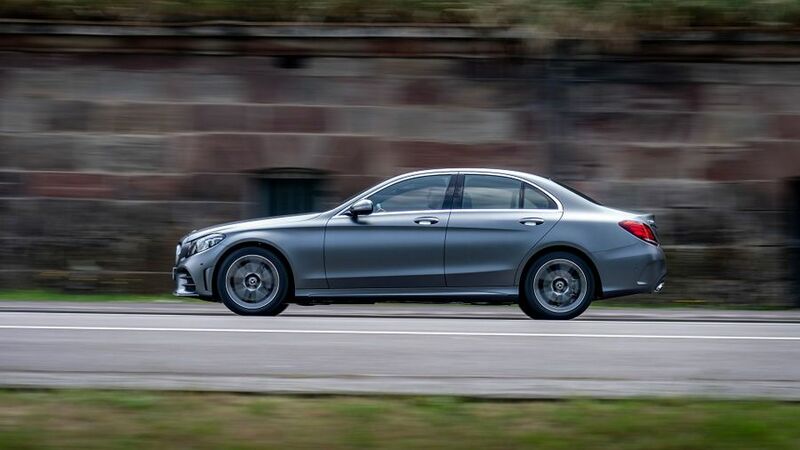 The Mercedes-Benz C-Class is a good all-rounder that does a solid job in most areas, and in particular, it offers impressive quality, generous equipment levels and, for those dipping into the options list, some excellent safety equipment. But, it doesn’t have a commanding lead in any one area, and the C-Class’s cost also counts against it versus rivals. 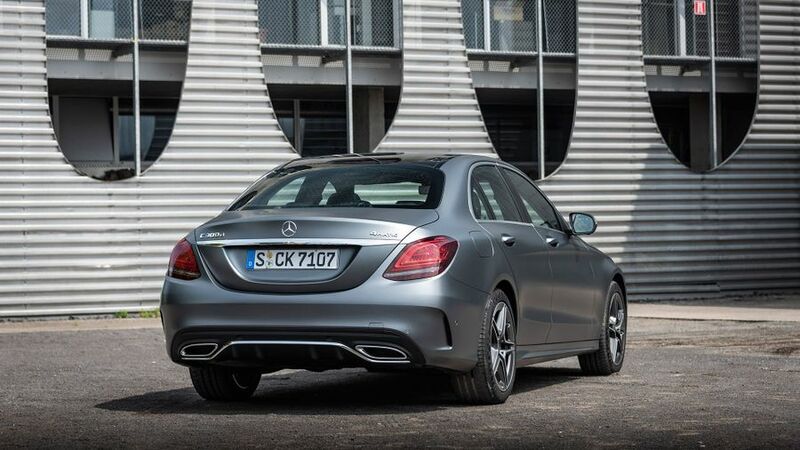 The C200d is the only manual in the range, and AMG Line trims are slightly more efficient thanks to their tyres. The C-Class has built a reputation for understated elegance and gentle evolution rather than being a very radical design, and it’s a car that is closely related to its larger E-Class and S-Class siblings in design terms. 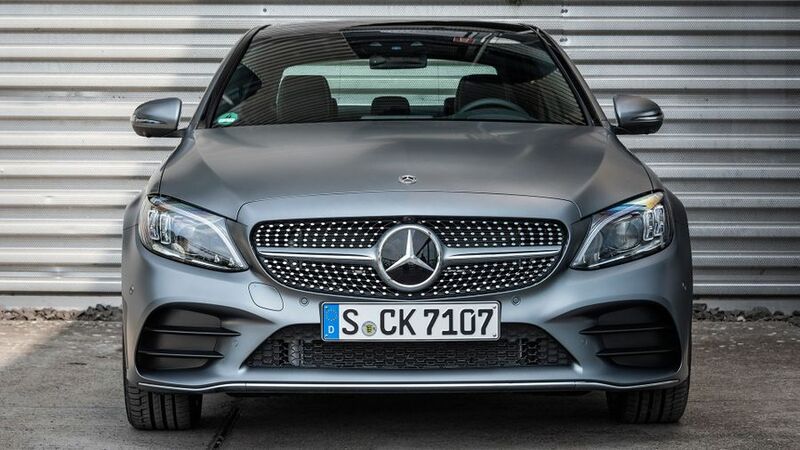 All cars now have the three-pointed star embedded into the grille rather than sitting on top of the bonnet in an effort to modernise the looks. It’s easy to spot the higher-spec Sport and AMG Line trim levels, especially at night, because they get LED headlamps as standard rather than the regular lights of the entry SE trim. The racier AMG Line specification level can be easily picked out thanks to its sportier bodystyling, including front, side and rear skirts. The high-performance C63 model looks even sportier, with even more skirts, a bespoke grille and a chunkier rear air diffuser. Interior quality looks and feels good, and the front of the cabin is dominated by the 10.25-inch central screen, which unfortunately looks like a tablet attached to the dashboard, rather than the more integrated screen of rival models. It can be controlled either through the central rotary controller between the front seats or, in what is an innovative approach, via a small touchpad on the steering wheel. There are two pads on the wheel – one to control the dashboard and one for the central screen. It takes a little getting used to, especially as there are a lot of buttons on the wheel already, making it tricky to pick out the one you want at a glance, and even when you are used to it, it’s still easier and less distracting to use the rotary dial. The C63 has a bespoke steering wheel with yet more controls for scrolling through various driving modes and engaging various driving systems. However, these controls are really well designed and are a doddle to use considering the wide variety of functions they operate. On all versions, an upgrade to the cockpit display is available, taking it from a 5.5-inch analogue to a 12.3-inch digital display, but that’s part of the pricey Premium option package. Interior space is pretty good compared with rivals, especially in the rear where it’s possible to house a couple of large adults comfortably. A narrow central seat means seating three in the back will be cosy, but that is the case for all cars in this sector. 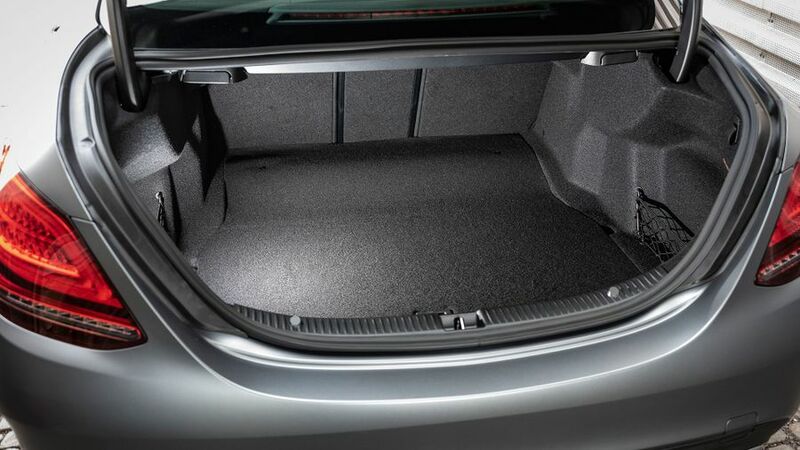 It’s a similar story for boot space, which isn’t a particular C-Class saloon strength. It’s big enough, but a good few litres shy of its best rivals. Cabin stowage space for phones, wallets and other bits and bobs is pretty good, with a covered large central bin and door pockets capable of taking larger water bottles. The suspension you get on your C-Class depends on which version you pick. The SE has the standard setup, while the Sport is lowered and the AMG Line is both lowered and stiffened. Whichever you choose, the C-Class is more comfort-orientated than sporty, prioritising the ability to cover long distances in a relaxed manner, but it’s still sure-footed and composed enough to be entertaining on a quiet back-road run. The top two trims can also be upgraded to air suspension as an optional extra, which tailors the suspension set-up according to which of the five driver modes – from Comfort to Sport+ – you select. It works really well, filtering out even the worst bumps and potholes, while providing a marked improvement in agility. We’ve also had a shot in the high-performance C63 version, which doesn’t have full-on air suspension, but does have an adaptive system that can also vary its behaviour according to which mode is selected. The range of different modes is rather dizzying, with six main ones, another four for the torque-vectoring system that distributes drive across the rear wheels, plus no fewer than nine modes for the clever traction control system that allows varying degrees of slip on the back end. 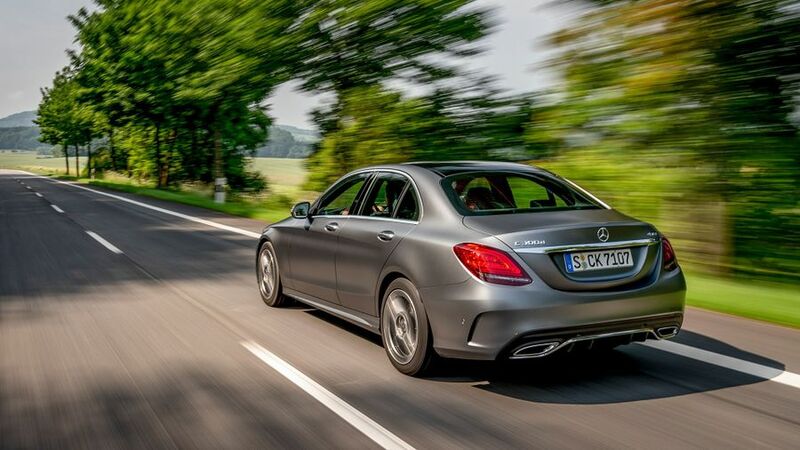 Using the various profiles isn’t as complicated as it sounds, though, and the technology means that the C63 can play a variety of roles with impressive polish. It can be a civilised and comfortable cruiser, an agile and alert sports car or, if you turn everything up to eleven, an absolute foamy-mouthed, tail-sliding lunatic. The C-Class’s talents here depend entirely on which engine you’re talking about. The C220d and C300d diesel alternatives are both really good, offering the punch, quietness and smoothness you might expect from a Mercedes. The C200 petrol engine, on the other hand, doesn’t. It’s clever on paper, as it has mild hybrid technology that uses a small 48-volt battery to support the petrol engine by adding a little extra power. On the plus side, it gives the car the ability to cruise with the engine off on downhill stretches of road to save fuel, but the engine itself is particularly noisy and doesn’t offer the kind of performance that you expect given the racket it makes. We haven’t yet driven the entry-level petrol, the C180, or the more powerful C300 and C43 versions. All cars, apart from the C200d entry diesel model (which again, we haven’t tried), come with a nine-speed automatic gearbox as standard. It’s occasionally a little unpredictable, and has a habit of holding onto gears longer than might be expected. The range-topping C63, meanwhile, has a stonking 4.0-litre twin-turbocharged V8 that develops 476 horsepower, or 510 horsepower if you go for the C63 S version. Unsurprisingly, it’s an absolute monster of an engine, propelling you viciously towards the horizon right from the off, and it only gets stronger the more revs you put on the dial. When the C-Class was facelifted in 2018, Mercedes hiked up prices considerably, making the car a good bit more expensive than its major rivals. And, as well as being costlier to come by in the first place, the C-Class’ price increase isn’t then given back in resale values, with the Mercedes not expected to be worth any more than its peers when it’s time to move it on to a new home. Insurance groups are also a bit on the high side compared with rivals, too. CO2 emissions and fuel economy are within touching distance of the best rivals, though not ahead of them, and it’s a similar story with routine service and maintenance. Obviously, the C63 versions are a very different financial proposition to the rest of the range, and will be prohibitively expensive for many, but those with one eye on the pennies wouldn’t be considering one anyway. The C-Class has traditionally been one of Mercedes’ best-performing models in reliability and customer satisfaction surveys. 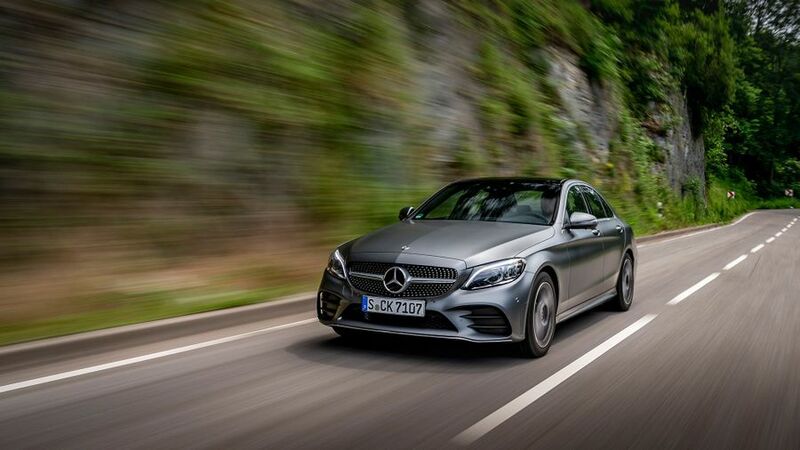 In the most recent JD Power customer satisfaction survey, the C-Class was up among the best in its class, while the Mercedes brand overall placed towards the middle of the survey. Likewise, the Warranty Direct reliability survey found the C-Class to be better than most rivals, and ranking higher than the average Mercedes model across repair costs and time off-the-road, even if the premium brand status is well evident in labour cost. 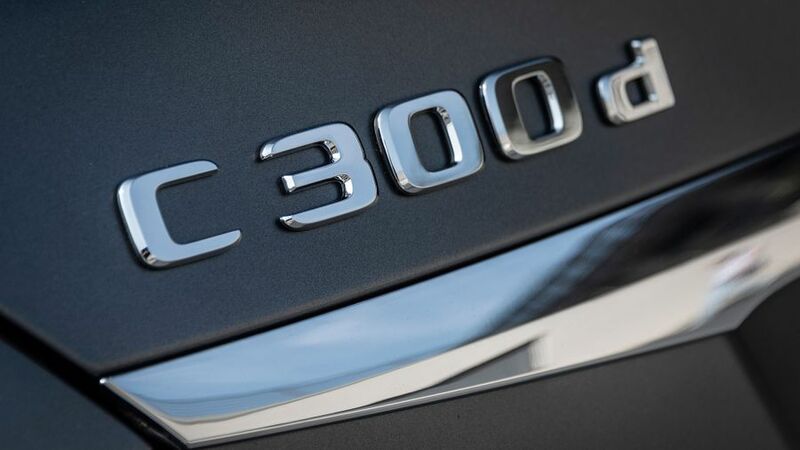 Though a three-year warranty is the regulation minimum for the car industry, Mercedes does offer unlimited mileage within that, which will be a benefit to those high-mileage drivers that pass the 60,000 limit some others impose within the three-year period. The airbag total is good, with seven fitted to various bits of the car, including a knee airbag to protect the driver’s legs against damage from the steering column in the event of an accident. You also get a collision prevention system is standard, which includes automatic emergency braking, but the really clever stuff is only available as a very pricey option package called the Driving Assistance Pack. It features technology that’s cascaded down from the S-Class luxury saloon, and includes a clever cruise control system that will slow the car for junctions, roundabouts and bends, as well as reacting to speed limit changes, and it’s joined by systems that will keep the car within its lane if the driver starts to wander around, actively prevent it changing lanes when a vehicle hidden in the blind spot and bring it to a complete halt through the adaptive cruise control system in traffic. 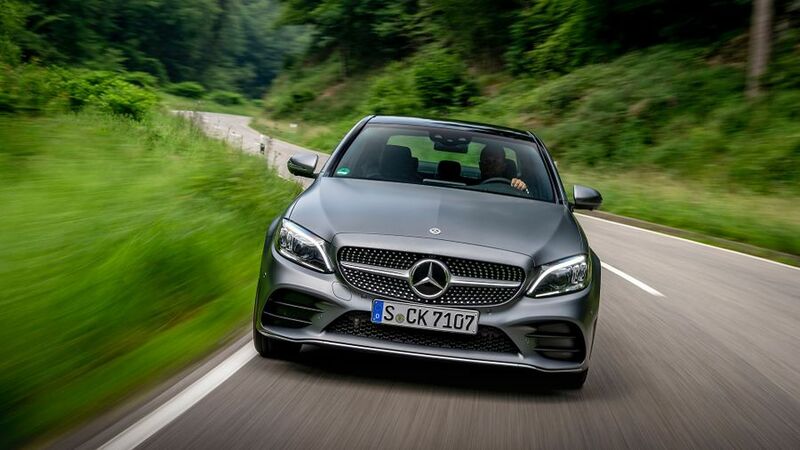 The pre-facelift C-Class was awarded the full five-star rating from Euro NCAP back in 2014. Given all premium brands like to entice buyers into the options list, the C-Class isn’t too badly specced, with all cars getting 17-inch alloy wheels (18-inch on the AMG Line), a reversing camera, satellite-navigation and heated seats. The step up to Sport from entry SE trim is a mainly cosmetic one, with leather sports seats and LED headlights the main draws. The price gap between the two is a reasonable size, but worth it for the nicer seats if the money is there. The AMG Line, with its sportier styling, larger alloys and other little touches such as brushed stainless steel sports pedals, makes for an enticing further upgrade. Aside from the safety-orientated Driving Assistant Pack, there are Premium and Premium Plus option packs that bundle together the main items that buyers would want to add. The bad news is they’re really very expensive, and you can’t have items such as the 12.3-inch digital cockpit display, keyless entry, panoramic sunroof or upgraded infotainment system individually, you have to cough up the big bucks for the pack. Which is a shame. 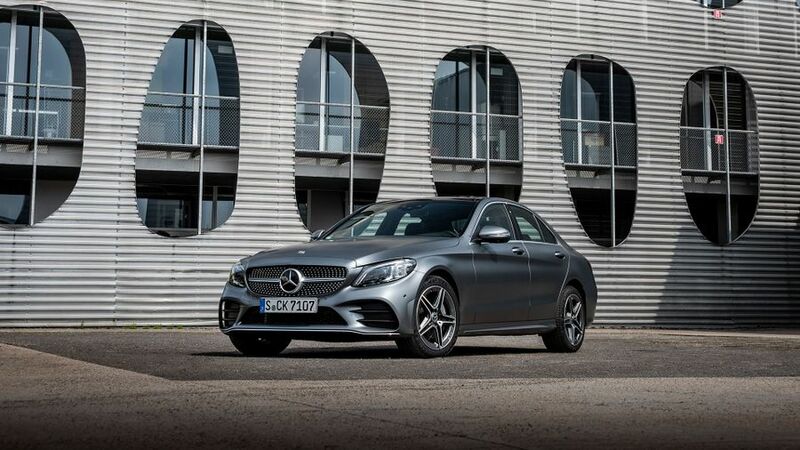 The C-Class has plenty in its favour, such as a classy cabin, comfortable driving manners, decent luxury kit, effortless desirability and a good range of powerful-yet-efficient diesel engines. That all makes it an excellent all-rounder. That said, it does have some very impressive rivals that do as well – and in some cases, better - in a number of important areas. There’s also the fact that mainstream versions are a good bit pricier than these rivals, and much of the most appealing kit costs you extra. However, spec it correctly, and you’ll have a very appealing car that’ll offer plenty of satisfaction.